What do you picture when you hear the word "ant"? The stereotypical ant is the large and dark ant crawling across your picnic lunch on a hot summer day. What about "ghost ant"? 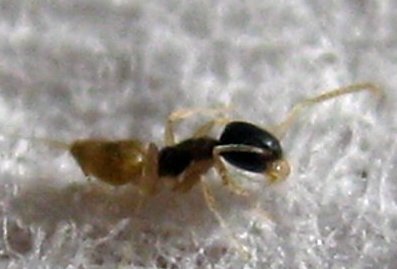 The ant species of Tapinoma melanocephalum is actually the opposite of this description. 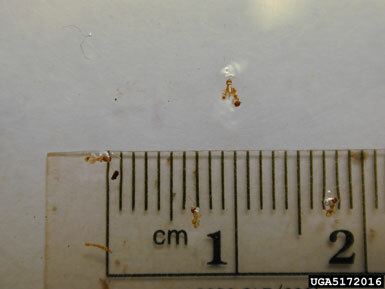 This particular species of ant measures to be only 1.3 to 1.5 mm! The coloring of the Tapinoma melanocephalum is also different because the swollen part of their abdomen (the gaster) and their legs are opaque or milky white (Cook, 2011). This unique coloring gave rise to the common name "Ghost Ant". So what exactly are these organisms? Let's start by looking at their classification or check out some other interesting organisms at the Multiple Organisms page!